… and what needs to change to create the next generation of culture-changing regenerative companies. Note: This post started as an observation of a humorous contradiction I observed in impact investment circles. I intended to write a short piece, but as I dug deeper I found a web of deeper systemic issues. I found it impossible to attack this topic without weaving all those issues together. Those questions are important and I wanted to make sure I explained the whole situation. Unsurprisingly, that made the piece long, so I broke it down into 3 parts. This is part 1. Part 2 is here and Part 3 is here. 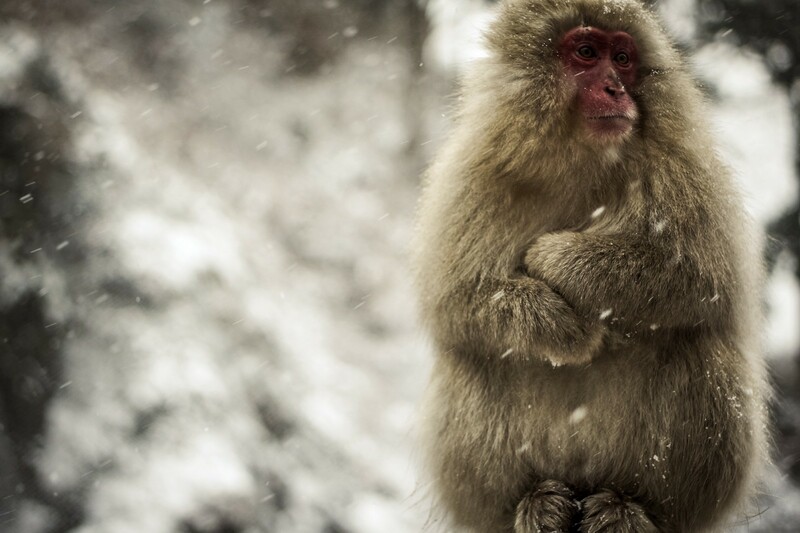 A macaque shivers with concern as she prepares to read the rest of this post. A lawyer friend told me I should specify that this post is in no way meant to provide any legal or tax advice and all investors and companies should seek their own legal counsel and tax advice. OK, let’s get into it! Speak to anyone at an impact investment conference and you’ll find many topics of debate. However, almost everyone in the room can agree about one thing. To the question: “who are the figureheads of the environmental movement that you look to for leadership?”, most respondents will name “Patagonia” without hesitation. I agree with them. Patagonia is a global apparel brand with roughly a billion dollars in annual revenue and considerable environmental street cred. The company and its leadership are now perceived as parental figures of the B Corp movement and to the new strain of regenerative environmentalism. The individuals holding the $114 billion¹ purse strings of “impact money” broadly share this view. A recent Business of Fashion (BoF) headline. However, and ironically, if Patagonia were starting up today and looking for financing, it would never receive funding from this group. And if it did, it wouldn’t become Patagonia as we know it, but something far less significant. That’s concerning because it means we are potentially missing out on the Patagonias of tomorrow. What is the impact of Patagonia? First off, it’s worth ironing out some misperceptions a lot of people have about what Patagonia is and isn’t. In many ways, they are a 20th century corporation. They outsource manufacturing of their clothing to contractors, primarily in Asia. They use a variety of materials — not just organic cotton — which include petroleum derivatives. They are a for-profit and they are far from perfect. The big distinction is that they have been pioneers of supply chain transparency, educating consumers on the reality of their business and the hard choices that need to be made; and admitting openly when they fall short. 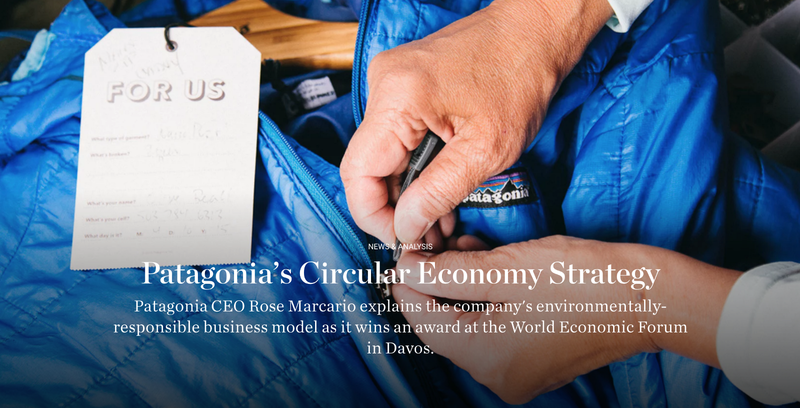 Patagonia’s Footprint Chronicles provides an insight into the company’s complex supply chain. In doing so, they have created a measuring stick that other companies now need to compare themselves against, which creates a rising tide. And regarding not being perfect, as they say “nobody’s perfect” — the key thing is to keep striving to do better. $89 million is how much Patagonia has donated to environmental work since 1985. That’s not a bad score, and when you combine it with all their non-cash environmental activity, like the nearly 3 million public comments regarding the importance of public lands, you can easily start to imagine how this might have had a systemic effect on environmental preservation. Much of Patagonia’s environmental credibility comes from this involvement with grassroots organizations; and in particular the cash donations, as they prove that the company was willing to put its money where its mouth was. In a new gilded age, with the takeover of our democracy by corporations, there seems to be precious little we as individual citizens can do in the long months between elections to protect our people, our republic, and our land. With the absence of a clear opposition figure or rallying message, we’ve been looking for heroes and flag-bearers. And amidst that vacuum, Patagonia has stepped up. They have (wisely) limited themselves to environmental issues, where they hold the most credibility. But for many who are hungry for our democracy to be repaired, they see someone with clout fighting back on the ground. And it feels good, because it gives hope and reminds us that yes, people getting together can achieve great things — and that great American spirit does still exist. There is some irony in a corporation being our greatest source of hope, yet when you understand Patagonia’s ownership and values, you better understand that it does not follow the same model as the corporations that are chipping away at our civic institutions — and in fact provides a much needed alternative voice. More important than the dollars donated, more important than the legal battles with the Trump administration, what in my opinion is by far the greatest contribution of Patagonia is their impact on our culture. Patagonia has created an army of millions of environmentalists. When they have been early adopters of innovative environmentally friendly techniques and approaches (e.g. around product lifecycle), they have been incredibly smart and effective in their communication to consumers. 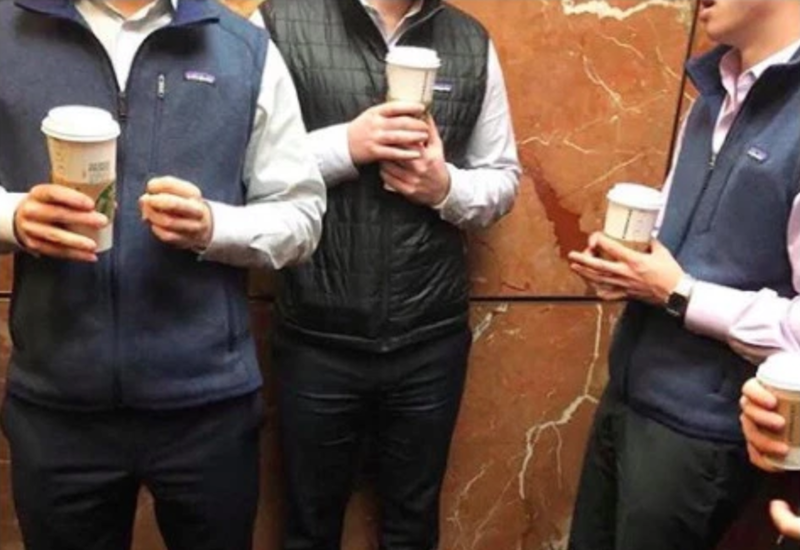 By creating a sense of shared identity, a “cool factor” (#fellowkids) and sensitizing parka buyers to technocratic topics like supply chain transparency, they have transformed the conversation around environmentalism, and made it a defining part of many people’s identity. That shift is incredibly hard to quantify and to value in dollars and cents — but in my mind, it is of much greater import than any specific tangible initiative they conducted (though also the result of those initiatives). Patagonia sounds great! Why wouldn’t they get funded today? Patagonia as a start-up would not receive funding from “impact” investors today. That’s not to say they couldn’t receive funding from venture capitalists or wealthy individuals (we’ll get to that), but the large pool of institutional investors with a mandate to grow profits AND impact would turn their noses. This is a mantra you hear a lot in the impact investing world. What it means is that those investors would rather invest where each product sold is directly addressing the area of impact. For a consumer product, it typically means that the customers are the beneficiaries. Many terrific initiatives fit the above definition. It is not a completely unreasonable stance to take if you need to make one simplistic rule to narrow down an investment thesis. Patagonia does not fit this definition. Their customers are mostly affluent Americans, not people for whom a jacket makes a life-changing difference. And despite all their efforts and initiatives to reduce their footprint, ultimately each additional product sold still has a marginal negative footprint on the planet. Not an in-need demographic. Shout out to Midtown Uniform—an Instagram guilty pleasure I discovered in researching this story. As I mentioned above, a big chunk of Patagonia’s impact — and the main driver of their credibility and ability to be lead activists — is through the vast sums they donated to environmental charities across the country. Some companies with a 1-for-1 model have come under some heat for the unintended consequences of their model, with Toms Shoes at the forefront. For every shoe sold, Toms donates one to someone in Latin America. It started with a genuine personal founder story, and ultimately got mired in negative publicity because a) we’ve since learned that giving away stuff to people in other countries can have unexpected consequences and b) the marketing was considered neo-colonial, condescending, and not necessarily creating positive cultural change with consumers. Toms was nonetheless financially successful, and many other companies sought to emulate their success with, sometimes gimmicky, 1-for-1 propositions. Some were robust (e.g. Warby Parker), and some were clearly more opportunistic. I’ll hold off from shaming some of these companies, but if you think an online comparative database of 1-for-1 programs is a good idea, leave me a comment! Further, philanthropic programs have a vast range of different looks, and 1-for-1 programs are just a small smattering of that ecosystem. Patagonia is a perfect example of this. Anecdotally, the culture in the impact investor community has shifted in the past few years from implicitly favoring Grad A to now favoring Grad B. And philanthropic companies are often perceived as analogous to that oil-drilling grad: sure, they have some impact, but really they’re not creating systemic change, and the bad done by the company in its day-to-day operations is probably outweighing the good from the donations. If it were that black and white, I would definitely agree — though in practice I think it’s a lot more nuanced. Companies that have robust philanthropic strategies often also show more care in their day-to-day operations — rather than being driven by a desire for remediation or redemption for all the negative impact which they are not trying to fix. There is another important counter-argument to raise, which is that many charities rely heavily on donations from companies². Unfortunately, it is a lot easier to get people to pay for a product they want, than to get them to donate to charity. I know this firsthand from my experience with SolarAid — raising small donations from individuals is unfortunately resource intensive, and hard to turn into recurring operating budget. Meanwhile, the bulk of the budget that we rely on every year comes from a handful of companies that set aside a share of their profits. Without this predictable stream of income, SolarAid couldn’t make any remotely long-term decisions; and if there is one thing that defines charities, it’s a long term mission. I have met people in the impact ecosystem who believe that charities shouldn’t exist in the first place, that there should be market solutions to every problem, and that you can replace all charities with a for-profit social business. This worldview invalidates a philanthropic model from a different point of view. Personally, I find this point of view quixotic, extremist and impractical — this article does a good job defending the separate need for charities. While I can poke holes into this impact principle against philanthropic models, the fact remains that it’s the conventional wisdom, and so… sorry hypothetical new Patagonia: 89 million schmillion. Impact investors are all about finding ways to quantify the impact of their investments. On principle, you can’t argue with that. If you can’t quantify the impact of your impact investments, how can you prove that you’re not just a 100% financially-driven investor? However in the case of Patagonia, the largest share of their impact is cultural, and to some degree political. There is no way to “A/B test” how different the cultural landscape would have been and what different micro-decisions millions of consumers, business leaders and politicians would have taken if Patagonia had never entered their lives. That causes an issue which I will attempt to explain with the analogy of a forest. Imagine you are a philanthropist who has backed two reforestation programs. Twenty years later, you want to invest further into the program that has planted the most trees. Program 1 has accurate tree planting data — they have planted 121 trees. They have a myriad of sub-metrics and Key Performance Indicators, which I’ll spare you. We don’t have a clue what the exact number of trees planted by Program 2 is, but intuitively we can say that it’s an order of magnitude greater than the 121 trees of Program 1. This isn’t a perfect analogy because in this case you might be tempted to think that Program 2 don’t have their stuff together since they have no reporting in place. But you do know that your initial investment in Program 2 got a lot more impact than Program 1 — you just don’t know if it’s 100x, 1,000x, or 1 million x. This is a cognitive bias that I saw a lot during my previous life at Google as a data analyst, especially among MBA-trained middle managers, who self-described as “data driven”. When an overwhelming amount of qualitative evidence pointed to a systemic or existential change looming, a few hard, verified numbers about insignificant minutiae would often be a potent distractor. It is more comforting to work on something measurable — no matter how insignificant — than to take a risk on something large and unquantifiable, even if it is to provide a better outcome by orders of magnitude. The over-attribution of importance to phenomena with measured data points, over more important phenomena that are unmeasured, is perhaps the quintessential cognitive bias of 21st century business. It is a relative of Parkinson’s Law of Triviality, but I have yet to come across a name for it, so for now I will go ahead and name it The McKinsey Bias³. That McKinsey bias is what would cause baby Patagonia to not get any credit for their massive, unmeasurable cultural impact. That’s what we’ll find out in part 2. ¹ $114 billion is a conservative estimate. The real number is likely a multiple of this. ² U.S. Corporations contributed $20.77 billion in charitable donations in 2017, or 5% of total charitable donations, according to Charity Navigator. ³ I chose McKinsey as the name for the bias, because many of the people that I have met, who exhibited it most acutely, made a point of telling me that they had worked at some point for McKinsey Co.